Blaise Pascal is attributed with saying “there is a God-shaped vacuum in the heart of every man.” His actual quote is much more eloquent and can be found in the footnote below,1 but the concept strikes a chord with me, like a puzzle that is missing a piece. There are countless things that we humans try to plug into our vacuum. For some it is food, for others exercise, the constant hum of the television, or social functions that keep us too busy to notice the void. Some people even marry to avoid being alone. I spent many years of my life trying to find the man who would be the missing piece to my puzzle. I struggled, complained and asked God “WHY?” for many years, feeling that there was something wrong with me because He didn’t bless me with a husband. But during that struggle I discovered that there is not another person on earth or any other earthly thing that can complete the puzzle of my life. Food, television, work, books…none of them hold the missing piece. Whether we are single or married, the ideal weight or need to work on that – whatever our issues, we have desires that God wants to fulfill in us, and a lover and Savior who longs to have us draw near to Him so that He can wrap us in His never failing Love, filling the void in each of us that cannot be filled by anyone here on earth and giving us a peace that passes all understanding. I believe if we allow God to fill the vacuum in our hearts we will be blessed to overflowing. If we ignore Him and follow the world’s view of completeness the void will never be filled. 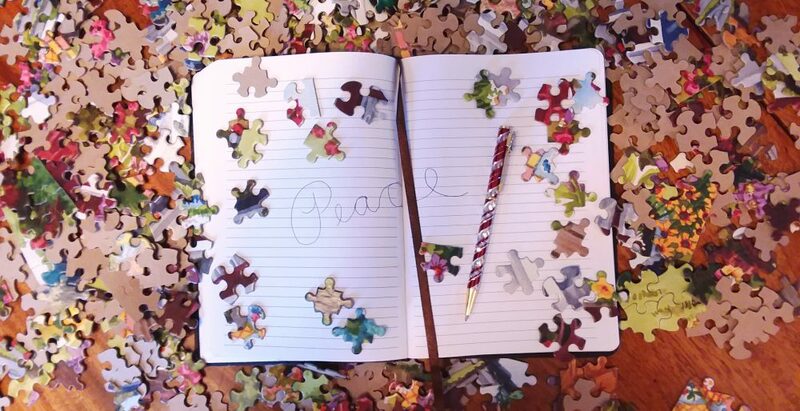 We’ll always have a missing piece (peace). When you feel that void rising up inside of you, with what do you try to fill it? >Great blog, Paula. Congrats! I'm honored to post the first comment. For years I feared I may have married the wrong man because Dan couldn't satisfy my empty heart. The day I gave my life to Christ, God filled me with Himself and with love overflowing for my husband. It really was a miracle. Jesus filled the emptiness in my heart that no husband could ever fill. What peace! What joy!!! >I think I try so hard to please everyone, that if they are pleased with me then my void would be filled. Of course pleasing everyone would mean I would have to meet their standards of being beautiful and intelligent, but not God's standards. I'm trying to fill my void by being accepted, and only when everything falls apart and I realize acceptance will not fill my void do I actually turn to God. Something I need to work on, not turning to God after all else fails, but to turn to him before everything falls apart.Thanks for the blog Paula, I'm glad you put it up because it's really helpful.